It's been a long 10 years, with hit-or-miss albums from a previous gold-standard voice of Brazilian pop. What changed? This album is what. It’s no secret that when Djavan left his longtime label partner Sony Brasil for greener pastures, he had artistic vision on his mind. he invested in a top-notch recording studio, ramped up his own label (Luanda Records) and got busy. The difference in a word, is….producers. Great producers are a creative prism: they refract the artist’s strengths in interesting and colorful ways. 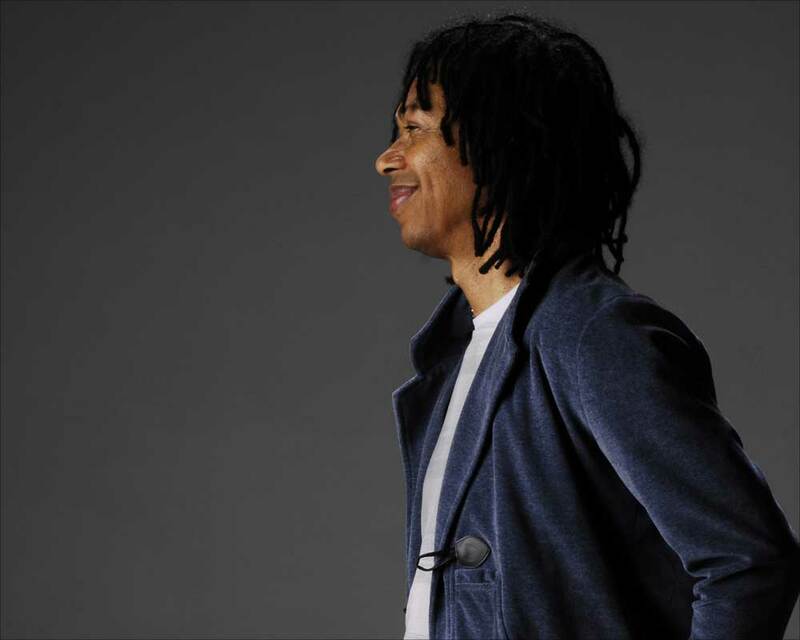 Over the course of his long and successful career, Djavan has benefited from a stellar list of such producers, including Mazzola, Liminha and Ronnie Foster, who guided several of the singer’s best selling albums. Djavan has also produced many of his own albums (and many of his best hit songs), but usually there was a “second voice” to act as a sounding board. Without it, albums like ‘Matizes’ and ‘Vaidade’ just didn’t measure up. Good albums, but not in keeping with what he’s given us before. ‘Aria’ gave hope, and when ‘Aria Ao Vivo’ crossed our desk, I began to pay close attention again. So when guitarist Torcuato Mariano (who returned to Djavan’ side with ‘Aria’, after producing and developing talent for EMI Brasil) told me about ‘Rua Doe Amores’, I could hardly wait for it. And I agree: It’s Djavan’s best recording in the last 10 years. I won’t delve into a song-by-song critique here; your ears will tell you what you need to know. But suffice to say that Djavan doesn’t wait around to deliver: The opening song ‘Já Não Somos Dois’ swings easy with his trademark style. And the writing is back, too, with catchy melodies and arrangements that make these songs a joy to… enjoy. But the true measure of this album’s popularity can be found in the feedback from our ‘streaming radio listeners for The Sounds of Brazil. They give it a solid ‘thumbs up’. And even though the album’s credits only list Torcuato Mariano as ‘Guitarist’, who knows? Maybe his was the voice in Djavan’s ear this time around.